Includes: bra, skirt, arm bands, wrist cuffs, half-circle chiffon veil. 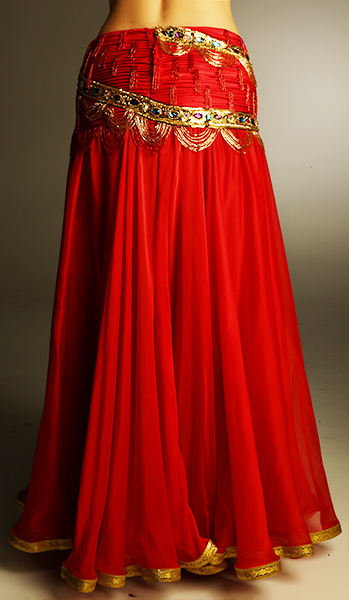 Fabric: red lycra, red chiffon. Beading: gold, red, multi-colored stones. Skirt: combo skirt with fitted lycra top and full double layer chiffon bottom. Upper hip: 33-34". Lower hip 36-40". Length: 40".